We appreciate your interest in a distributorship with The Real Estate Book, the leading multi-media publisher of real estate advertising in over 400 markets across North America. The Real Estate Book is the consumers' choice when looking for a current, free color publication showcasing homes and real estate professionals in their area. 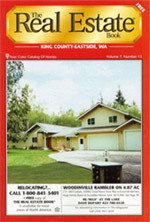 Over 8.5 million copies of The Real Estate Book are printed every 4 weeks. The Real Estate Book is the preferred advertising source for Realtors in print and online by delivering maximum exposure for advertiser's dollars. The Real Estate Book offers advertisers the most competitive set of features: Worldwide exposure through The Real Estate Book website, leads via the 1-800 toll-free moving hotline, corporate relocation program, and targeted distribution, while delivering the most qualified leads to advertisers at the lowest cost. This return on investment gives advertisers what they expect from their advertising money. 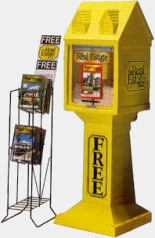 As a result, The Real Estate Book provides an Independent Distributor with a turnkey system that incorporates product & market development, national marketing, and the most recognized brand in real estate advertising. All of this allows a dedicated individual to launch a new magazine with the knowledge that they control the success of their business. When the Market Survey is complete as well as other pre-training activities and modules, you’ll spend a few days observing an up-and-running book at a location convenient to you. The week long in-house training program takes place at NCI headquarters in Atlanta. You’ll learn each aspect of producing a successful book selling skills, ad layout and submission methods, photography, and distribution techniques. You’ll also become familiar with the latest technology programs developed to make you a more valuable and effective resource. Video modules, manuals, product knowledge, computers, classroom presentations, hands-on workshops, role plays, and yes, even homework is a part of this intense learning experience. Your successful completion of training arms you with the tools you’ll need as you return to your market. The Real Estate Book doesn’t just promise the support, The Real Estate Book supports the promise! The Real Estate Book will always be available with the assistance you need whether you’re on your second or twenty-second edition. For 20 years, in over 400 markets, we’ve encountered numerous situations, and we encourage you to draw upon our experience. We’re committed to making your business as productive and as rewarding as it can be. Remember, you’re joining an incredibly experienced support system; one that depends on, and, therefore, is dedicated to your success. Independent Distributors are the operators of their books. They sell ads; help advertisers design ads and write ad copy; photograph homes; submit the materials for production and online exposure; and, finally, they distribute The Real Estate Book in their market. Network Communications’ internal, state-of-the-art equipment and technology ensures consistent, quality color and streamlines the production of every book published. Many Independent Distributors grow to manage more than one book. Network Communications has a vested interest in the financial future of every Independent Distributor and supports the efforts of Independent Distributors as they build equity and grow their markets. The family of Independent Distributors is a group of diverse individuals with wide ranging professional experience. Some have previous real estate experience, publishing experience or have advertising sales backgrounds; and some hail from completely unrelated fields. They also have an attitude an “If it is to be, it’s up to me!” attitude. Regardless of their experience, all Independent Distributors are highly motivated, success-oriented individuals dedicated to producing a publication that consistently delivers performing advertising for the advertiser, preferred content to the consumer, and a competitively winning magazine in the market. To learn more about The Real Estate Book magazine distributorship opportunity, simply complete the form below.